Elbow patches are one of the hottest military-inspired trends around, but it seems extra special coming from a brand called Cottonopolis. The name is possibly a reference to Manchester, England — a hub for the cotton and textile industry in the 19th Century. 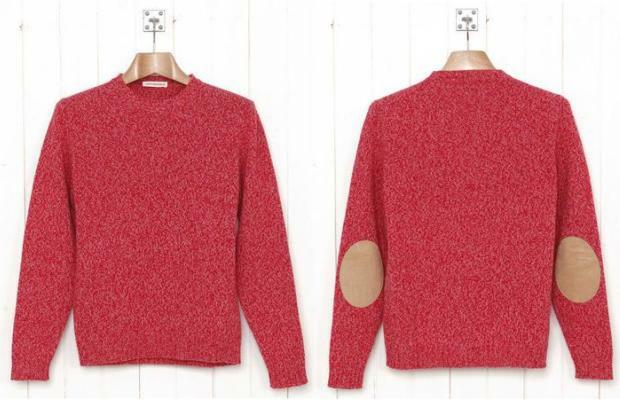 Cottonopolis is the first in-house brand from Oi Polloi, and they certainly hit the mark with these 100% wool Elbow Patch Crew Knit. Coming in red, blue and beige, these sweaters are sure to keep you toasty as hell and the marled effect add that cool element you need during the cold season. Get yours at Oi Polloi now for $148.